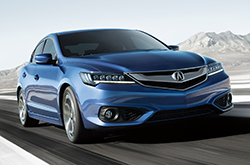 The 2016 Acura ILX is one of the top compact luxury sedans available on the market. The 2016 Acura ILX in Arlington comes with updated features and amenities that improve its appearance and capabilities. Delivering excellent handling, smooth ride quality and ample torque, the ILX is a prime pick for buyers who want an upscale sedan with outstanding driving dynamics. Its long list of standard features and advanced safety functions also greatly benefit drivers and their passengers. For more details about the refreshed ILX and its offerings, continue reading our 2016 Acura ILX review. 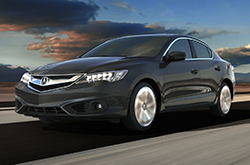 Due to multiple enhancements, the Acura ILX is better than ever this year. It features brand-new headlights that produce a more dramatic look, as well as a variety of updated front and rear end components. 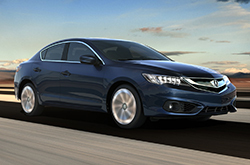 Increasing its focus on safety this year, Acura decided to outfit the ILX with an array of brand-new safety functions. The sedan is now available with rear-cross traffic alert, blind-spot warning, adaptive cruise control, a rearview camera and forward collision mitigation in an effort to keep drivers and their passengers secure within the vehicle. Additional standard safety features featured on the vehicle include antilock brakes, traction control, stability control, front-seat side airbags and side curtain airbags. Unlike last year's model, the 2016 Acura ILX in Arlington no longer comes with a 2.0L engine. The previously optional 2.4L four-cylinder has become the standard engine, offering 201 horsepower and 180 lb.-ft. of torque. Paired with an eight-speed automatic transmission, the 2.4L four-cylinder is much more capable than the outgoing model. It also produces an EPA-estimated 36 mpg highway, which is a respectable rating for a sedan in its class. To learn more about the ILX and discover exclusive engine spec information, continue browsing our 2016 Acura ILX review below. 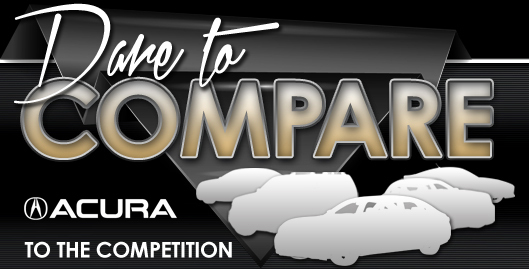 Compare the 2016 Acura ILX to vehicles like the 2016 Volvo S60, Lexus CT 200h, Audi A3 and the Mercedes-Benz C-Class, and we're sure you'll discover that the ILX beats out the competition in quite a few areas. TX shoppers will be smitten with the ILX's handy features and low pricing. You'll clearly see that when compared to the vehicles in its segment it's a fabulous value in regard to price, which is why many Arlington Acura customers choose it. Find even more information; see our quick-facts list for the ILX - bullets under this text. Thank you for reading vandergriff Acura's 2016 ILX review! We stand out from the rest by offering reviews provided to assist you in your vehicle search. As you read this article, you'll see that it is brimming with dependable information about all the things you're looking for in the new ILX - powertrain options and other specs included. Now that you've read vandergriff Acura's review of the 2016 ILX, please use the form on the right to contact us to find out about national OEM specials and limited-time dealership offers, so you can save big on your next purchase!